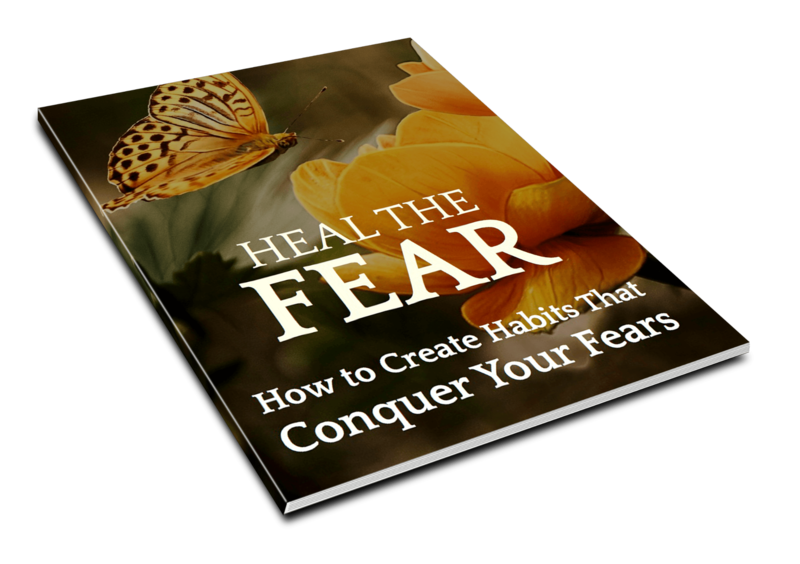 Fear is a driving force for much of human behavior. Studies show that most people will do more to avoid pain than they will to gain pleasure. Pain is a significant component of decision-making. Our fears control our behavior. If there’s something you want to do, but don’t, fear is likely the cause. Mediocrity is one of the primary symptoms of a life directed by fear. How much does fear drive your decisions? If you’re being honest with yourself, fear is a significant part of your life. Fear leads to less than optimal decisions and outcomes. When choices are made that accommodate fears, the best solution isn’t utilized. When we avoid fear, our self-esteem takes a hit, too. We know what we should do, but we’re not quite “brave” enough to make it happen. Fortunately, dealing with fear is a skill. Sure, some people are naturally more fear resistant than others, just as some people can naturally jump higher than others. But you can learn to feel less fear and learn to act despite fear. Communication is a key part of a healthy relationship, but it’s not always easy to communicate in a loving way. Many couples struggle with loving and thoughtful communication. Loving communication can be integrated into listening, talking, body language, daily habits, and other activities. 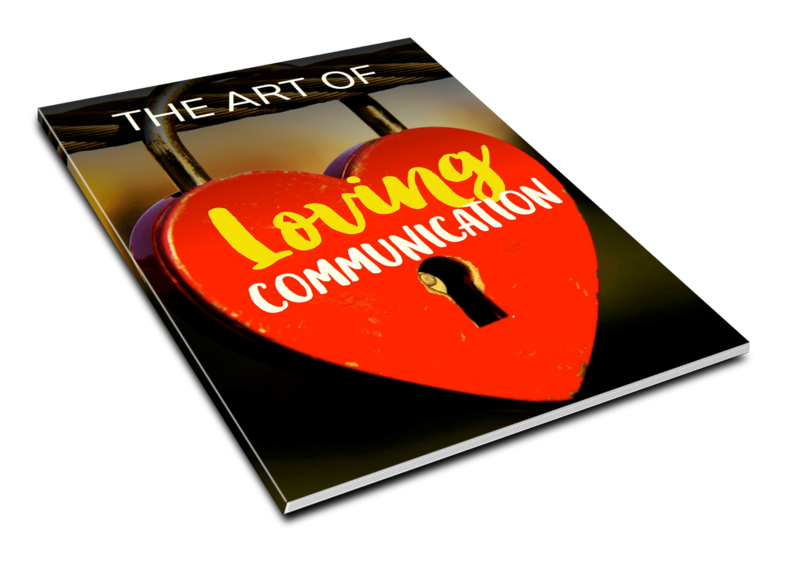 Discover how to use all these forms of communication to enhance your relationship and experience a more joyful and fulfilling love. Our busy, complicated lives sometimes bring a wave of negative emotions: sadness, jealousy, depression, grief, anger, confusion, anxiety, and stress. Unfortunately, it's all too easy sometimes to succumb to the naturally powerful nature of these emotions and allow ourselves to be troubled for hours, days, or weeks on end. On the other end of the spectrum, happiness, gratefulness, joy, relief, comfort and contentment are also emotional pieces we feel at times as we go throughout our lives. True happiness and emotional freedom is what all mankind strives for! Although self-care is an important concept, many of us fall short in taking care of ourselves. Just as we take care of other aspects of our lives, our physical and emotional health must also take a front-seat priority. Consequences of failing to care for ourselves include a diminished immune system and other health issues. 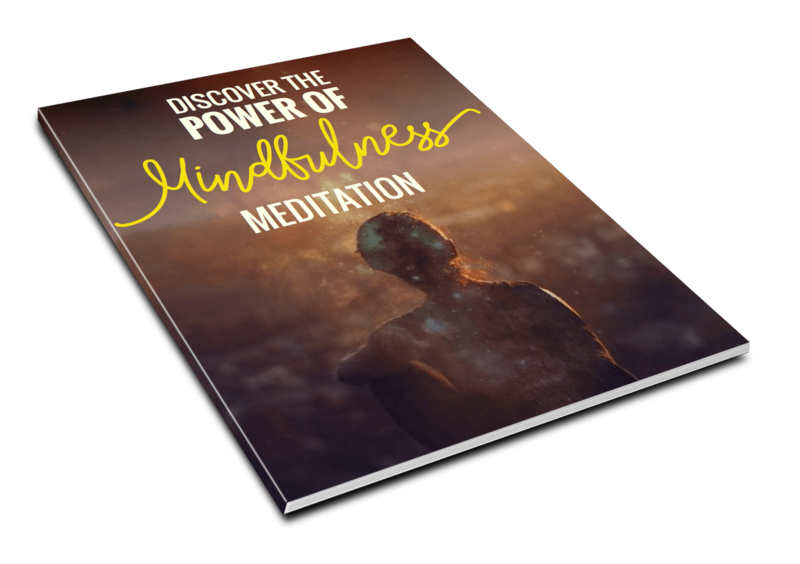 Mindfulness and meditation in general can help you handle your emotions, achieve lower stress levels, feel happier, and enjoy peace and satisfaction with your life. 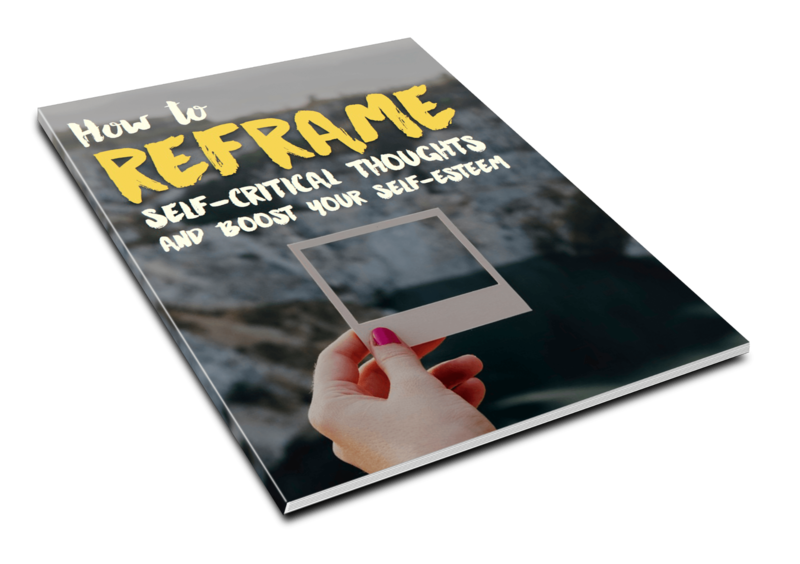 How to "Reframe Self-Critical Thoughts" and "Boost Your Self-Esteem"
These types of negative thoughts can harm you in multiple ways. Self-criticism can be an ongoing dialogue inside your head. Most of the thoughts focus on flaws, whether actual or perceived. Sometimes the thoughts start after a critical comment from another person. In rare cases, self-criticism can be useful. It may increase humbleness and provide a way to evaluate mistakes. However, most of the time, self-criticism creates unnecessary pain and suffering. Self-critical thoughts can increase the risk of depression, anxiety, stress, and other mental health issues. They also weaken your self-esteem and confidence. Luckily, you can learn to reframe these negative thoughts in your head and overcome them. How much time do you spend preparing to go to the gym? Most people spend at least 10 or 15 minutes changing clothes and packing a bag. Then, you likely drive 15 to 20 minutes to the closest gym. If you don’t have a gym that is near you, your commute time may be even longer. You may be spending more time getting to the gym and back home than working out. Once you get there, if someone else is using your favorite equipment, you may waste 10 or more minutes waiting for it to be free. 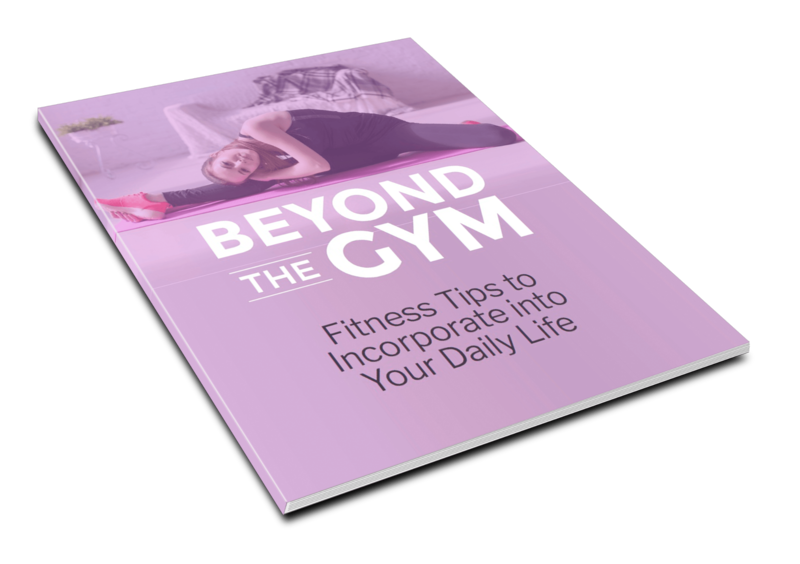 With all things considered, the gym can be quite time-consuming, costly, and draining. However, the gym isn’t your only option when it comes to staying in shape. Fitness doesn’t have to be an all-consuming activity that forces you to take time out of your day to rearrange your schedule. Right now, you might be thinking, “If your goal is to lose weight, build muscle, or tone your body, then working out is essential.” Yes, it is, but fortunately, you have other options than the gym, and can incorporate fitness tips right into your daily activities. Throughout our lives we face challenges in many types of situations. Do you sometimes freeze up when faced with obstacles because you’re unsure of what to do? If so, opportunities may pass you by because your resolve to meet the challenge quickly disappears. However, the good news is: you can pass any test you face on the way to your goals! Opportunities that once passed you by can be turned into stepping stones on your way to victory. Once you add a few simple strategies to your arsenal, you’ll be unstoppable on your path to success. Even big challenges can be surpassed with a few simple techniques. 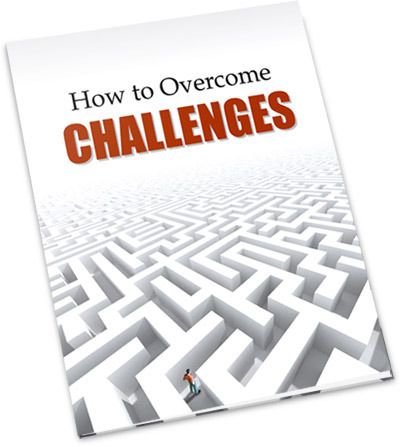 Overcoming these challenges will spur you on and encourage you to live the life you were born to live. Instead of feeling fear, you’ll feel confident when you approach these roadblocks.